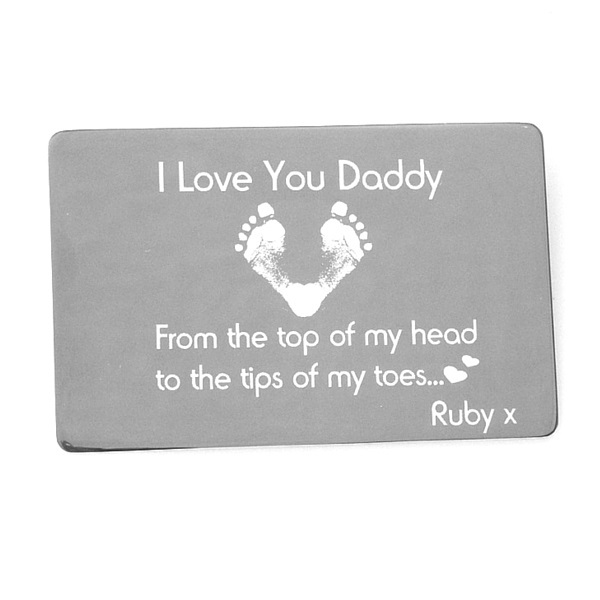 Take a look at our range of personalised jewellery and gifts on our ‘Shop’ Page or alternatively you can view the range of products we have by viewing our ‘Browse by’ page. It’s a simple process when you order with True Love Keepsakes. Simply add the items you’d like to your shopping cart and when you’re ready proceed to checkout where you can pay securely using Paypal. You do not need a Paypal account to pay, simply choose the option to pay by credit/debit card. Want your item personalised? Well don’t worry just place your order and we send out an order form or an email for you to add any details for personalisation such as a name, date or special message. You can order and pay for personalised jewellery online. Select the product(s) you would like to buy and pay securely using Paypal. An order form will be sent to you to complete and return to us in a pre-paid envelope. 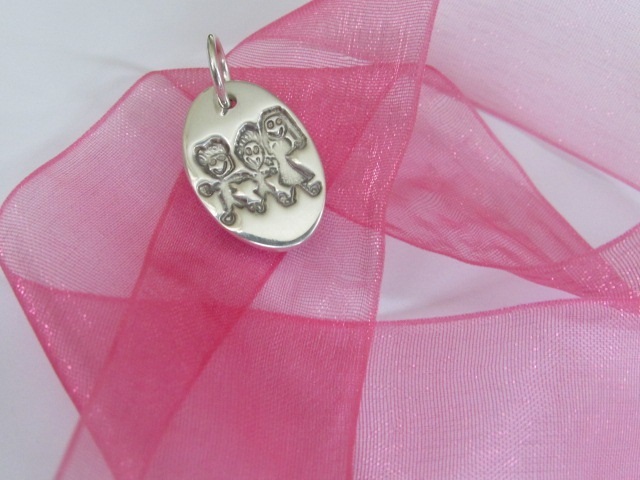 You can indicate the shape and size of the charm you would like and the personalisation. You can also indicate the type of chain and length or bracelet you would like if purchasing one. For fingerprint, footprint or handprint charms, a print kit with clear instructions will also be sent to you to take the prints and return to us in a pre-paid envelope. 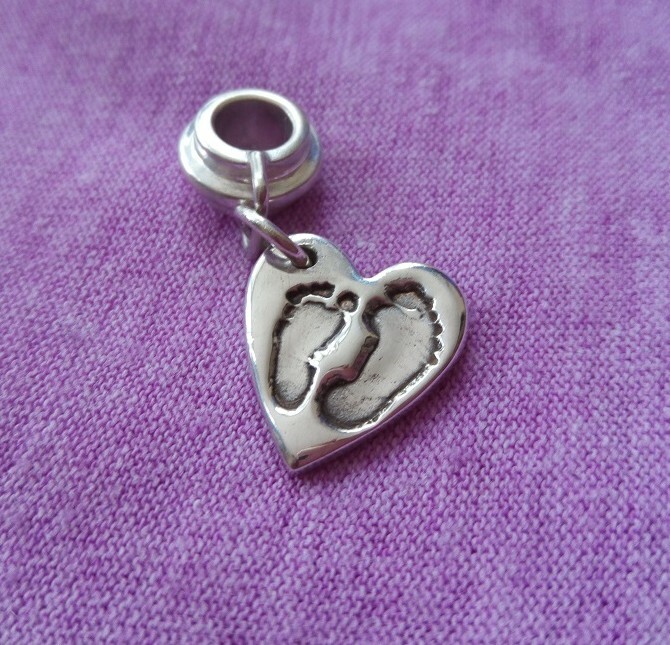 For artwork charms you need to send us a copy of the picture or writing by email to: info@trulovekeepsakes.co.uk or by post to: True Love Keepsakes, 50 Calshot Road, Birmingham, B42 2BT (We do not accept originals). Your personalised jewellery will then be hand-made and sent back to you. All jewellery is presented in a beautiful gift box. It will usually take 2-3 weeks for a piece of jewellery to be hand-made. It may take longer during busy periods but please contact me if you need your item sooner and I will do my best to accommodate you. Place your order and select the options available. Pay securely using Paypal. An email will be sent to confirm your order and add any personalisation you would like such as names, dates or a special message. If you need a print kit, one will be sent to you free of charge with a pre-paid envelope for you to return the prints to us. The item will then be made and posted to you. If you live in North Birmingham, please contact me as I work with some local nurseries and there may be a possibility for me to take your child’s prints whilst at nursery. Alternatively, look out for our news of forthcoming events, we do craft fayres, school fayres etc through-out the year where I am able to take your child’s prints on the day and return to you at a later date. If you run a private nursery or are in charge of a state nursery I can come in and work with you to take impressions on ceramic as keepsakes for parents and give you a percentage of the sales as a thank you. I am a qualified Primary Teacher and hold a current DBS Certificate, my specialism is Early Years and I have over ten years’ experience teaching and interacting with Nursery, Pre-school and Primary Children.